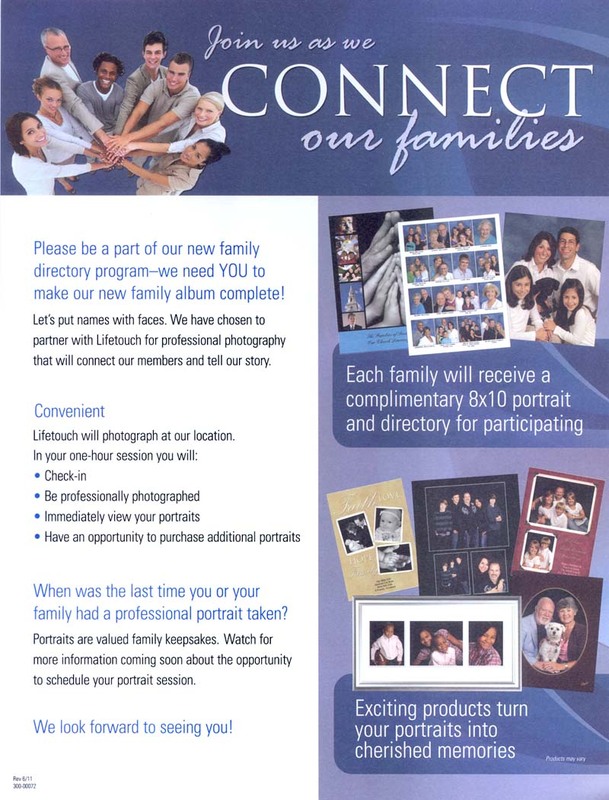 Each family will receive a complimentary 8 x 10 portrait and directory for participating. 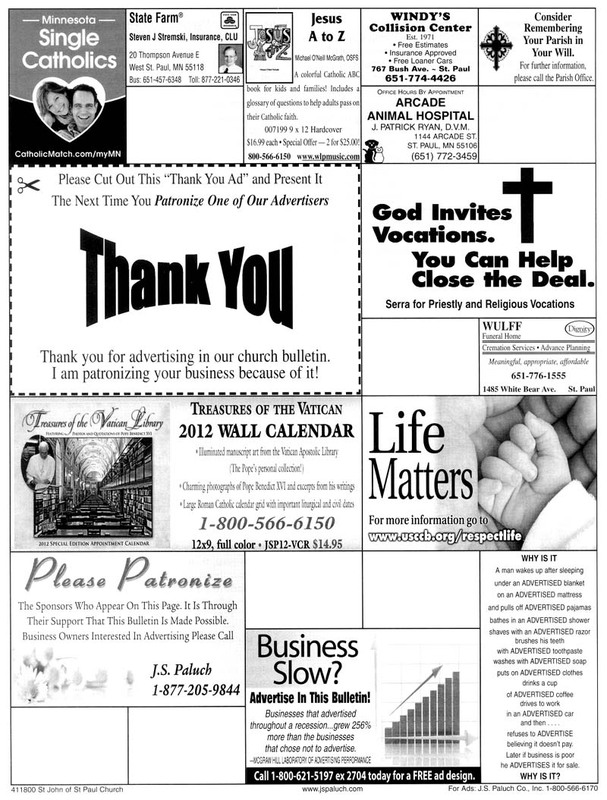 You will have an opportunity to purchase additional portraits. 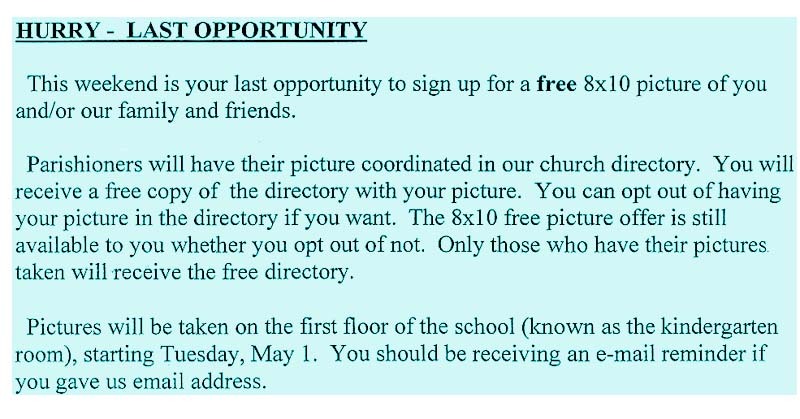 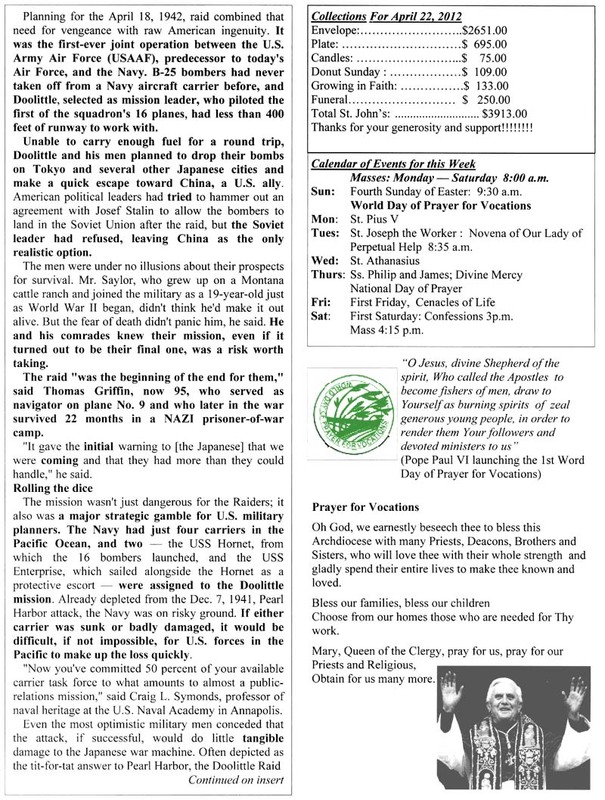 Photos will be taken in the school building on May 1 through May 5.
or call the parish office at 651-771-3690.